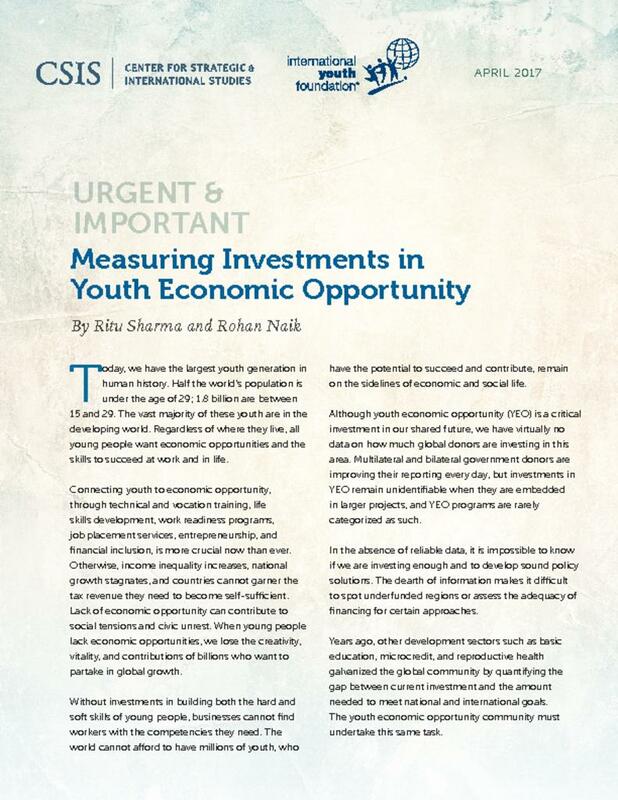 This report presents findings from an examination of investments in youth economic opportunity (YEO), which includes vocational, technical, and life skills training; work readiness programming; job placement services; entrepreneurship; and financial inclusion. It compares these investments by region, sector, program type, and source. It also compares investments in YEO to those made in other development fields.